Volunteers are building a pan-European, grass roots campaign to get more people involved in the European elections and encourage as many as possible to vote. The platform thistimeimvoting.eu was launched by the European Parliament in 24 languages. 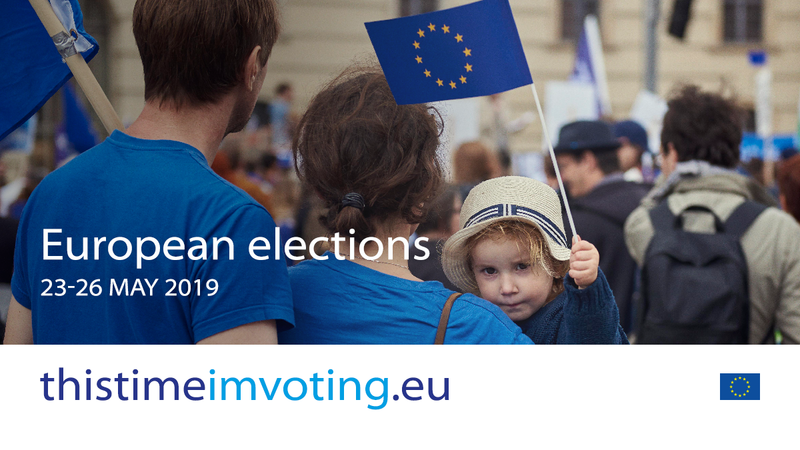 It supports over one hundred and fifty thousand volunteers in all member states, who signed up and are committed to persuading people to vote in the European elections on 23‑26 May 2019. Parliament is asking Europeans not only to vote, but also to spread the word and to mobilise their families, friends, neighbours and communities to do so too. Parliament’s liaison offices in all member states act as information hubs tailored to local needs. They will support public debate by offering local platforms, easy-to-access online tools, seminars and information material. Quick-response services such as What Europe does for meyou, Ask EP, FAQ on the European Parliament, #EUandME (by the European Commission) are available in all languages. The new Citizens´ App provides mobile access to a wealth of relevant information on the European Union. Detailed national voting rules, deadlines and useful links to national government websites in each member state are provided on the EP Elections website. An online quiz to test and compare knowledge about the EU is available to the public and can be shared and easily embedded on third-party websites.